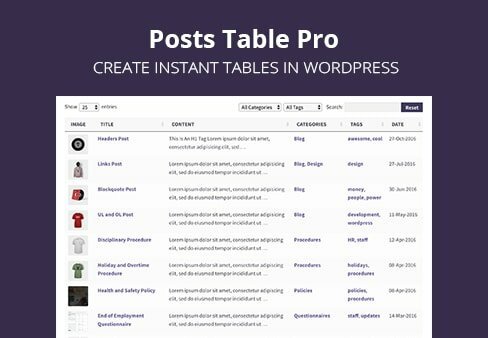 Posts Table Pro is the ultimate plugin to create instant tables in WordPress, without any manual data entry. 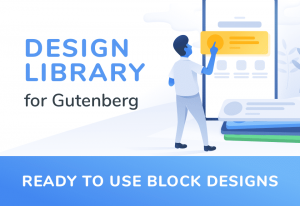 It works differently to other WordPress table plugins because it automatically generates tables containing content from your pages, posts, custom posts or other data. 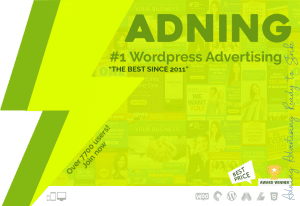 Your WordPress tables are created instantly and kept up to date at all times. Index of blog posts – Big blog? List all your blog posts or articles in an interactive WordPress table which is instantly updated whenever you publish a new post. Add category and tag filters above the tables to help readers find the posts they’re interested in. 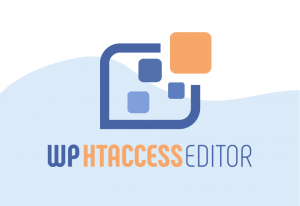 WordPress document library – Create a dynamic table listing documents from a custom post type in a searchable publications library with extra data stored as custom fields for file type, date modified etc. WordPress staff directory or contact list – Add your staff members or members in a custom post type and display them in a sortable WordPress table with columns for name, job description, phone, email address etc. 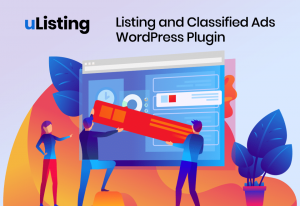 Directory plugin – Create any type of directory such as a WordPress business directory for your local area, with a searchable table displaying all the businesses with information about each one. 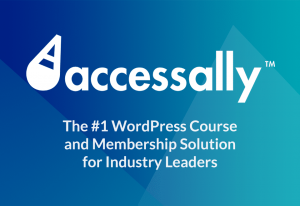 WordPress image gallery, audio or video library – Forget about separate image or video plugins. Posts Table Pro lets you display images, galleries and embedded audio and video directly in a WordPress table. Whatever you decide to use it for, Posts Table Pro is the WordPress table plugin that is flexible, looks great and saves you time.